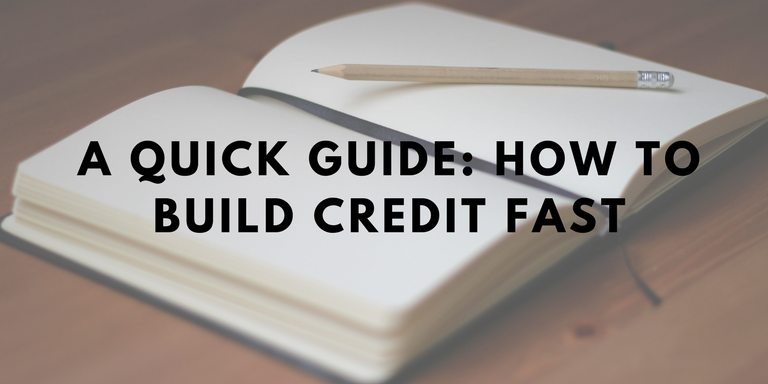 When establishing credit people often wonder how to build credit fast. You might want to rent an apartment, buy a car, or apply for a job, or even buy a home, but if you have no credit or bad credit these action items might be affected. If you want to build credit fast it is important to understand that having good credit is a requirement as well. No matter what your income level is, everyone has the potential to achieve positive credit fast. The breakdown of building positive credit is fairly simple. You borrow a certain amount of money from the lender of your choice and pay it back on schedule while keeping your balance low in relation to your card’s total credit limit. You can demonstrate you are a reliable borrower by paying on time every month. If you happen to stop paying or you pay late, lenders will send this negative information to the bureaus, which will result in bad credit information appearing on your credit report. If you want to build credit fast paying your bills on time is one way to do so. Having a good credit history will determine if lenders will be open to working with you. Another way you can potentially build credit fast is to keep your credit card balances low. More specifically you can do this by keeping your balance under 30% of your card’s total limit. For example, if your card has a $1,000 limit, do not carry an account balance of more than $300. If you are real with yourself and know you will use your card more than that each month there are a few hacks for having a lower balance. All you need to do is pay your balance down before lenders report it to the credit bureaus either on or before the statement closing date. Additionally, you can potentially build positive credit fast by adding a variety of different credit products to your account. You can achieve this by adding a car loan, a credit card, a mortgage, or even adding another person to your account. Adding these different products will allow your score to be easier scored in comparison to someone who only uses a credit card. It is important to note when adding someone else to your credit is a potential risk to you. Similarly, another easy way to build credit fast is to ask someone to be an authorized user on their credit card. When asking someone to add you as a user you can tell them that authorized-user cards do not require a credit inquiry, which means their credit score will not offer. If that person trusts you, you can ask to be authorized on multiple accounts. Make sure these accounts have the highest credit limits if you want to increase your credit score the most. There are a few options you have when you decide to build your credit fast. Remember that having some credit is better than having no credit at all, so make sure you establish yourself with an account. You must have at least one open positive revolving account that you have used within the last 6 months in order to receive a good report. If you do not have an account with some type of history you are considered a credit risk. It is your responsibility to show you can handle something as important as credit.